Crown Oil is a nationwide fuels and lubricants distributor. As reliable red diesel suppliers in Kent, we also deliver heating oil, AdBlue and Bio-Diesel at unbeatable prices. We offer a complete range of fuels and lubricants, as well as any fuel related ancillary products; spill kits, mobile bowsers and pumps etc. Buy red diesel in bulk quantities from 500-36,000 litres, as well as 205 litre barrels. We always do our best to meet every customer’s requirements in Kent. With our deliveries, products and payments we believe flexibility is key. If necessary we can tailor national supply agreements to suit your company’s specific fuel requirements. To discuss your red diesel requirements, call us on 0845 313 0845. The beautiful county of Kent in South East England is referred to as the garden of England and is one of the home counties. Famous authors H.G. Wells and Laurence Olivier were born in Kent as well as supermodel Kate Moss. Kent is steeped in history from the invading and pillaging Vikings to the childhood home of Anne Boleyn the mighty and impressive Hever Castle. Kent provides relaxing holidays for many and has become a magnate for families wishing to relocate for a better way of life. The county of Kent is subject to the legendary great British weather conditions which means cool summers and freezing cold winters. Red diesel suppliers in Kent offer alternative solutions for the expensive methods of supplying heat for the home. Gas and electricity prices continually rise causing excessive annual heating bills for commercial and residential properties. Using red diesel as a fuel to supply all the home heating will drastically reduce the average cost of supplying heat through the year to the home. All residential and commercial properties can benefit from installing inexpensive red diesel equipment to supply all the heating required. Red diesel used as a fuel for heating homes, offices, or factories does not incur the massive tax payments that normal engine diesel attracts making it more commercially economic. 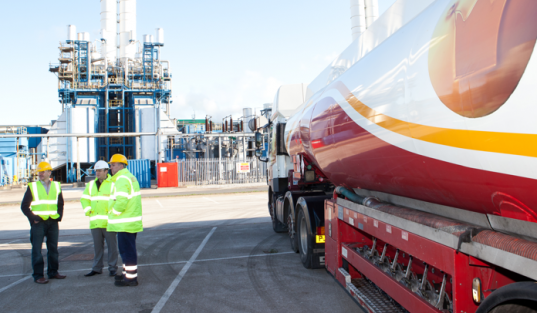 Gas oil suppliers in Kent will deliver red diesel throughout the year at a time and day to suit the clients. Crown Oil will assist any prospective person considering using red diesel as a heating fuel with information concerning the red diesel storage tanks to the necessary pumping equipment. Cheap red diesel in Kent offers an opportunity for property owners to reduce their heating costs and to help lower their carbon footprint. We will ensure a cheaper alternative method of heating through a continual supply of cheap red diesel. Red diesel is a common fuel type for the construction and agricultural sectors. Used to power machinery, tools and vehicles red diesel is a cheap and reliable fuel used by many farmers and construction workers in kent and across the country. Other names for red diesel include cherry diesel, tractor diesel, agricultural diesel and gas oil.